I have never quite gotten an answer as to why ESA, Gateway, and possibly even West-Side Access couldn’t have been planner comprehensively as one project – in tandem with eventual upgrades to allow through-routing. Does ESA as currently constructed prevent that? Based on costs here and projected for Gateway, is it even warranted? Would both projects have been more useful if they were one tunnel connecting NJ>PSNY>GCT>LI? ARC Alt G would have done most of what you suggest. It wasn’t a true through-running project (NJT trains would run only to GCT, and MNR only to NYP) and thus wouldn’t have improved terminal capacity overall, though it could have shifted some of the NYP burden to GCT. But through-running once Alt G was built would have required only re-electrification and freed enough GCT terminal capacity that LIRR could easily have used the GCT terminal tracks instead, reducing ESA’s scope to the Queens tunnels and a simple connection at Park and 63rd. Of course, NJT rejected Alt G; the public summary of their Major Investment Study, if memory serves, mentions problems with capacity (which wouldn’t be an issue with true through-running) and impacts on skyscraper foundations. Everyone suspects these issues are a cover for agency turf wars; Stephen Smith has been filing FOIA requests for the full study for a decade and been rebuffed every time. I believe, though don’t cite me on this, that the ESA cavern is too deep to be useful to a through-running plan, but nothing precludes connections to the current lower level of GCT, as Alt G would have done. Maybe not a through-running plan for NYP, but how about a through-running plan for Fulton St to Atlantic Terminal? It would create a true loop and super-express for downtown, 42nd St/GCT – 14th St – City/Fulton – Battery – Borough Hall – Atlantic Terminal, to the point of possibly eliminating significant demand for the east-side subway lines. Hell, an integration below 42nd St of tunnels for LIRR commuter and 2nd Ave subway rail, no interlocking so FRA shouldn’t be pissy, might make for a cheaper overall project. Well, didn’t that ship sail with the WTC Transit Hub? I thought that’s what it was originally designed to accommodate, no? But generally, yes…I don’t understand why these projects are planned in isolation; This is the point I am trying to get across. Even Corey Johnson’s proposal for city control of the MTA seems to just want to chuck off the railroads, which is kind of silly. It does not matter what could have been. At this point none of it is achievable due to unsolvable technical issues. You can analyze what happened as much as you want but it comes down to the existence of a border in the middle of the Hudson between New York and New Jersey. The politicians on each side have their own interests and their own voters, the commuter agencies are entrenched and responsible only to the politicians in their own state and the voters themselves look down onto the voters from the other state. With the Feds not being able to force a unified solution due to the local rule preferences enshrined into the laws dating as far back as the Constitution a unified system ala SNCF or Deuche Bahn had no chance and never will have any chance on this side of the Atlantic Ocean. 1. The new ESA tunnels are too small for anything but a LIRR train. Even Metro-North’s M8s with the pantographs down will not fit. Forget about NJTransit multilevel cars. 2. The tunnel ceilings in the existing GCT (pre-ESA) are just too low for catenary of any reasonable voltage. 3. You are not going to get rolling stock working on the different voltages and currents easily or cheaply. Theoreticaly it is possible, but practically the M8s are the best you are going to get for the next 30-40 years. Even the M8s cannot use the catenary into Penn Station. I’ve been looking for other problems with through running, and you have identified a few more for my list. The politics behind Metro North RR are bad enough. I can only imagine trying to meld NJT and LIRR together for through running, and even more problems if MNRR were added to the mix. One can run using Catenary from DC to Boston relatively easily, as it is done now. But how does one address incompatible 3rd rail systems between NJT/LIRR and MNRR? (shoe under/shoe over is an issue.) But this is the tip of the technical iceberg, something I am not well versed enough to address fully. Hopefully, we’ll eventually figure out how to fix all of these issues, but I’ll be long dead by then. Shoe under/over is not a problem. The M8s have their shoes designed to be able to run both on underrunning and overrunning third rail. They are spring loaded and do not require the manual changes of the shoes that older generations of equipment would have needed. The problems begin when you bring the catenary. The major issue is that NY Penn Station is fed by 25Hz power. 25Hz power requires much bigger transformers than 60Hz power. That is why the M8s did not get transformers capable of using the 25Hz power, only the 60Hz that is used on the New Haven line. The power in Penn Station and the rest of the NEC in NJ is 12.5kV, while anything new is 25kV (NJ lines other than the NEC). This is not an issue though as it is easily solvable by placing two transformers onboard. They are connected in series for the 25kV and in parallel for the 12.5kV. Note that Amtrak and NJT already have equipment that can handle all of the catenary around New York, but the MTA is not interested in a small fleet of similar equipment just for the sake of going into NY Penn or through running with NJT for the New Haven line. People will give different reasons why that is the case, but at the end of the day the major problem is that state border in the middle of the Hudson river. If northern NJ was part of New York state, all rail would be under the same umbrella agency and through running would be much easier to accomplish as it will be in the best interest of the agency, but that pesky border is not going anywhere, so don’t count on it. I understand both administrative and physical distinctions between the RRs: THAT’S MY POINT, they shouldn’t exist, and we shouldn’t just accept planning that perpetuates them. If we do, we should shut up about these agencies implementing “best practices” from international peer cities, because the very manner in which they are run precludes most of those practices ever being implemented. My question is why everyone seems to pretend this is acceptable or that they can’t understand why it makes sense to operate rail service independent of arbitrary service areas: NJT/LIRR/MNRR trains *do not* need to terminate in NYC. There’s no real justifiable reason for it other than no one is willing to stake out a position that it needs to be fixed. Governor Andrew Cuomo’s call for performing yet another independent audit on the Metropolitan Transportation Authority’s Long Island Rail Road East Side Access to Grand Central Terminal is putting lipstick on a pig. Since 2001, the total direct cost for MTA East Side Access to Grand Central Terminal has grown from $3.5 billion to $11.2 billion (plus $600 million more in financing costs). I predict $12 to $13 billion in direct costs when completed. This does not include $4 billion more for indirect costs known as “readiness projects” carried off line from the official project budget. This includes $2.6 billion Main Line Third Track, $450 million Jamaica Capacity, $387 million Ronkonkoma Double Track, $120 million Ronkonkoma Yard Expansion, $44 million Great Neck Pocket Track just to name a few support direct implementation of East Side Access. Based upon past history, the final cost will go up again over time by a $1 billion or more. The promised opening service date has slipped on numerous occasions from 2009 to December 2022. Don’t be surprised if this ends up in 2023 or later. The project still needs an additional $1 billion in the next 2020 – 2024 Five Year Capital Plan to complete the funding package. 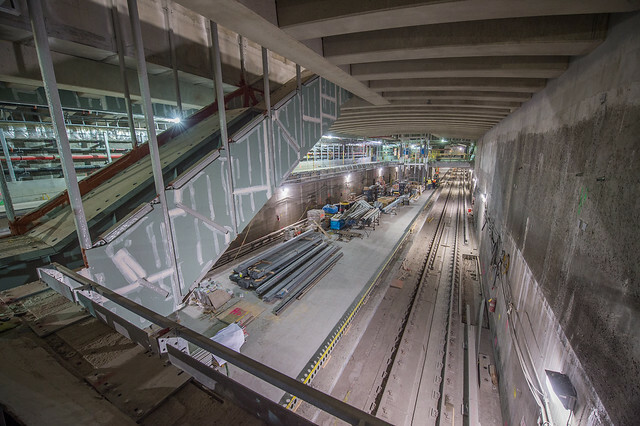 A detailed project risk assessment by the Federal Transit Administration independent engineer as part of the FTA – MTA 2016 amended East Side Access Full Funding Grant Agreement predicted a final cost of $12 billion. The MTA has repeatedly increased the budget by billions and pushed back the first day of service by thirteen years. Cuomo’s promised “forensic audit” of the MTA LIRR ESA is a waste of time and money. How many internal MTA, MTA Office of Inspector General, State Comptroller, City Comptroller, NYC Office of Management and Budget, Federal Transit Administration Office of Inspector General and other audits have come and gone. What about numerous newspaper investigative reports on waste, fraud or abuse? Another audit will not result in any significant changes. One significant failure in the 1990s was a future fatal flaw in the purchase of both duel mode locomotives and double-decker passenger cars. Those responsible for design, engineering and bid specifications to support procurement of duel mode locomotives and double decker passenger cars failed to take into consideration height clearances for the 63rd Street tunnel between Manhattan and Queens. This tunnel was designed to be used at a future date to provide the LIRR with a direct connection to Grand Central Terminal. As a result, the LIRR fleet of 23 diesel-electric and 23 duel-mode locomotives along with 134 double- decker passenger cars will not be able to utilize ESA for future service to Grand Central Terminal. Thousands of daily LIRR riders whose trips originate from diesel territory branches (including those commuting east of Huntington to Port Jefferson, east of Mineola to Oyster Bay, east of Babylon to Speonk or Montauk and east of Ronkonkoma to Greenport) will still have to change at Jamaica for those traveling to or from the future LIRR Grand Central Terminal or Atlantic Terminal Brooklyn. There will no longer be any direct thru service from Jamaica to Atlantic Terminal Brooklyn. This impacts customers on 51 peak and 84 off peak or 135 weekday trains operating between Jamaica and Brooklyn. 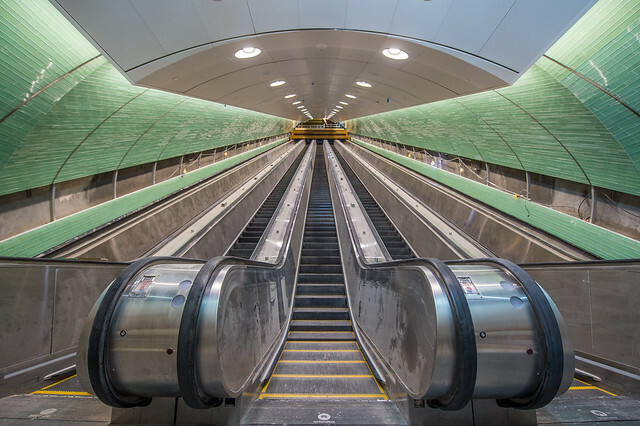 They will have to either walk up the stairs, take an escalator or elevator from platform levels off of Jamaica Station tracks one, two or three to the mezzanine level. Next walk across the mezzanine and down the stairs, escalator or elevator to the new tracks 9 or 10. Then they will have to wait for the next scoot service train running between Jamaica and Atlantic Terminal Brooklyn on tracks 9 and 10. They will miss the good old days when it was a simple switch walking across the platform between tracks 1 & 2 or 2 & 3 to the desired Penn Station, Atlantic Terminal Brooklyn, Hunters Point or Long Island City bound train. Who knows how long the will wait will be for a connecting train. There are also plans for the Oyster Bay branch to be converted to a permanent scoot shuttle service resulting in riders having to first switch at Mineola. Travel time for thousands of LIRR riders bound for downtown Brooklyn, Wall Street, World Financial Center or World Trade Center or other destinations in downtown Manhattan via Atlantic Terminal Brooklyn will now actually have longer commutes. Depending upon how long the wait is for a connecting train from Jamaica to Brooklyn, this could add up between 5 to 10 minutes each way or a total of 20 minutes per day. It is doubtful that the LIRR scoot service between Jamaica and Atlantic Terminal Brooklyn will be running with head ways every few minutes like a subway. Imagine how long one could be waiting to or from events at the Brooklyn Barclay Center or other off peak trains. Thousands of riders whose trains originated to or from Atlantic Terminal Brooklyn who once had a one seat ride will lose this benefit. Everyone will now have to change at Jamaica. This will especially impact those on the Hempstead, Rockaway and other branches whose trains originate from Brooklyn. All of this conflicts with the MTA corporate party line of over decades regarding how the ESA project will save many LIRR riders up to 40 minutes each day round trip in daily commutes. So much for truth in advertising! Until the early 1980s, both LIRR and NJ Transit riders exiting east at Penn Station had a direct underground passageway known as the Hilton Corridor. It was also known as the Gimbel’s passageway. This provided a simple indoor connection to the 34th Street Herald Square B, D, F & M and N, R, Q & W subway, along with Port Authority Trans Hudson (PATH) station complex. It could be rebuilt in several years for $150 million versus $11.2 billion for MTA LIRR Eastside Access to Grand Central Terminal. Reopening this passageway would provide improved access to east midtown Manhattan years prior to MTA LIRR Eastside Access. It would also save significant time for those with the same destinations served by future LIRR service to Grand Central Terminal. One riders gain in time savings (being able to access work in the eastside of midtown Manhattan via Grand Central Terminal versus Penn Station) is a corresponding loss for another rider trying to access work via Atlantic Terminal Brooklyn. Pity those poor riders on the Oyster Bay branch who will suffer the most. The NYC Economic Development Corporation’s ongoing development of a master plan for their own proposed Sunnyside Yard project leaves a major unresolved issue. How would this project work, without significant transportation improvements? Both Amtrak and NJ Transit use the existing Sunnyside Yards for mid day and overnight storage, along with positioning of equipment for rush hour service. The MTA, LIRR and Metro North have their own future potential plans to use portions of Sunnyside Yards for construction of a station. The MTA, LIRR, Amtrak New Jersey Transit and Metro North Rail Road all will play a role in the success of any development plans for Sunnyside Yards. Few remember that in 1998, as part of the proposed MTA LIRR Eastside Access project, construction of a passenger station was considered for Sunnyside Yard. It would have provided access to the growing Long Island City business and residential district. Fast forward twenty one years. The MTA has still not advertised and awarded a contract for the new Sunnyside Yard LIRR Station (that was to be built at Queens Blvd. & Skillman Avenue). There is no significant funding included for this project within the current $32 billion MTA 2015 – 2019 Five Year Capital Plan. The next opportunity for funding would be under the upcoming MTA 2020 – 2024 Five Year Capital Plan. Once funding is in place, they would need to update the environmental review, proceed with preliminary and final design followed by advertising and awarding a construction contract. Next, is the notice to proceed, contractor mobilization, actual construction, beneficial use, completion of inspection, acceptance and contract punch list items, receipt of asset maintenance plans, followed by release of retainage and final payment to the contractor. Just to reach beneficial use could easily take four to five years. Many years ago the previous estimated project cost was $400 million. Who knows what the engineers estimated cost would be in 2019? This could increase based upon responses to bids, along with change orders during construction due to last minute changes in scope or unforeseen site conditions. Any future development plans utilizing the air-rights over Sunnyside Yards should include the proposed MTA LIRR Eastside Access project construction of a passenger station at Sunnyside Yard. It will provide access to both Sunnyside and adjacent growing Long Island City business and residential community as well as neighboring Astoria and Woodside. There has been incredible residential and commercial growth in neighborhoods adjacent to Sunnyside Yard. Image the benefits to both residents and commuters. Consider the possible travel options including reverse commuting if a Metro North Rail Road connection from the New Haven line via the Bronx and Hell Gate Bridge on to Penn Station reached beneficial use. This assumes there is a way to find capacity in Penn Station during peak am and pm rush hours for new Metro North service. It should be easier to find space for off peak, evenings and weekends. Both could provide service to a Sunnyside Yard station some time in 2024. (Larry Penner is a transportation historian and advocate who previously worked 31 years for the US Department of Transportation Federal Transit Administration Region 2. This included the development, review, approval and oversight for grants supporting billions in capital projects and programs on behalf of the MTA, NYC Transit, Long Island Rail Road, Metro North Rail Road, MTA Bus, New Jersey Transit, NYC Department of Transportation and over thirty other transit operators in New York State). Going farther back, early 1970s work called for a new station at 48 St [not GCT], and a crosstown people mover there. Thank you for saying that. I was about to pull out the NYC Master Plan from 1968 to show the thinking at the time. To put this ripoff in perspective, the DeBlasio Administration has promised the construction industry $8 billion to rebuild 1/2 mile of highway near Brooklyn Heights. The bidding will go up from there. It is worth noting that what should have been the most expensive part of this project, the tunnel, completed construction nearly 50 years ago. Simply put, they are ripping us off, and continue to do so. It wasn’t the original estimate and timeline that were wrong. Short of expediting this project, Cuomo’s stunt is nothing more than a busybody neighbor sticking there nose in where it doesn’t belong. On the cost issue mentioned here, yes it is most definitely a serious problem, but don’t let that cloud the fact that this is an important transit project & in the long run the ESA will end up being transformational. coaches. Now any future commuter rail tunnels need to be designed with that fact in mind. As I type this NJT has an order of EMU by-level cars & they will replace the oldest single-level cars in their fleet. If it were not for the billions and billions of dollars of cost overruns and years and years wasted on all this, this would be almost a comical portrayal of government incompetence. But it’s all too real and part and parcel of the seemingly permanent ineptitude of the politicians like our governor, mayor, and all the rest who, inexplicably, keep getting elected and re-elected. I hate to write this, but we deserve what we get – mediocre, self-obsessed and pandering politicians, a largely unmotivated, unengaged and nonvoting electorate; only those to whom this pandering appeals actually vote. I myself have always voted, even in primaries and special elections, but I find that the choices tend to boil down to which pandering mediocrity do I ‘want’? None! What you say maybe fare, but if you look at how much $$$ gets waisted in military contracting every year it’s not even close. at least here you are getting a transit facility that will see a lot of use in spite of it’s overinflated cost. in many cases military contracts lead to grift & zero benefit. The ESA: The biggest money pit that the dysfunctional MTA had ever done. ESA=vaporware, albeit very expensive vaporware. No wonder there’s no $ for transit.